CLICK HERE FOR MORE STORIES BY LINNEA HARTSUYKER. 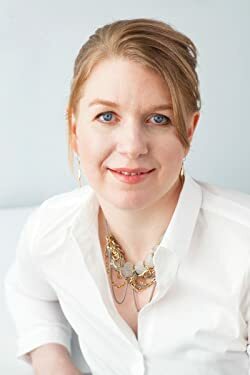 Today Linnea Hartsuyker stops by Fantasy Literature to share some interesting facts about Vikings, which she heavily researched for her debut novel, The Half-Drowned King (which I loved). This novel brings to life the figures and circumstances surrounding Harald Fairhair, the ruler who unified the lesser kingdoms or Norway, and who happens to be a great-great-etc. ancestor of Mr. Hartsuyker herself! 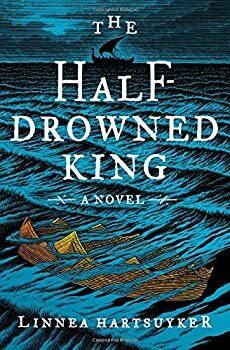 We have three copies of The Half-Drowned King to give away, so please comment below for a chance to win! The Half-Drowned King (2017), Linnea Hartsuyker’s debut novel, is a fascinating glimpse into a long-ago time, when Scandinavian warriors took their dragon-boats as far south as Constantinople or west to Ireland, trading with and terrorizing the locals, depending on regional treaties and individual temperaments. By necessity, this accounting of events leading up to the coronation of King Harald Fairhair is largely fictionalized, but as most sagas and poems about his life were compiled a few centuries after his death — rather like King Arthur of Britain — their own historical accuracy should be taken with a pinch of salt and enjoyed for their entertainment value.